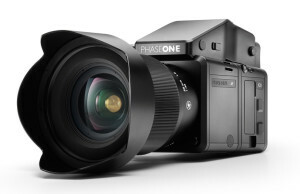 Today Phase One debuts their new medium format XF camera, 3 new IQ3 digital backs and 2 new lenses. 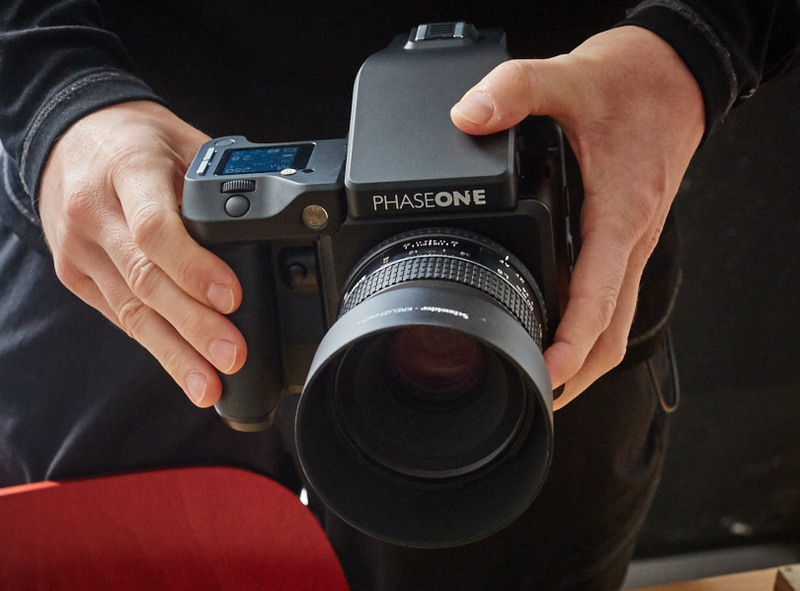 This is a big day for Phase One as it finally closes the chapter on the DF+ camera body. The XF camera is done right! Finally there is an outstanding lens line up as well as an excellent digital back and the camera body that goes between them. 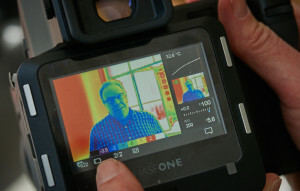 Before we dive into the news about the new Phase One XF camera I should make sure we clear the air. As many of you know I was a Vice President of Phase One and an employee for 13 years. I have been away from Phase One for two years now. During that time I have dedicated my time and life to Luminous-Landscape. 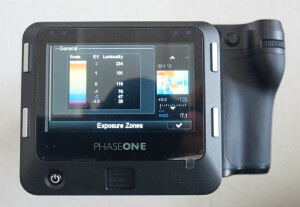 There is no question I have a fondness for Phase One as I put a lot of hard work into the company. 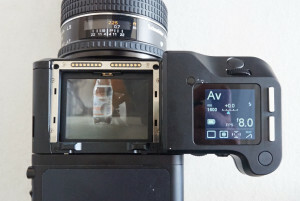 There is no one who knows the woes of the old DF+ camera body and its idiosyncrasies better than me. I was the one who was running workshops when simple mirror-up self-timer operations would crash the camera. I was the one who had to work with dealers and photographers who were frustrated by that camera. 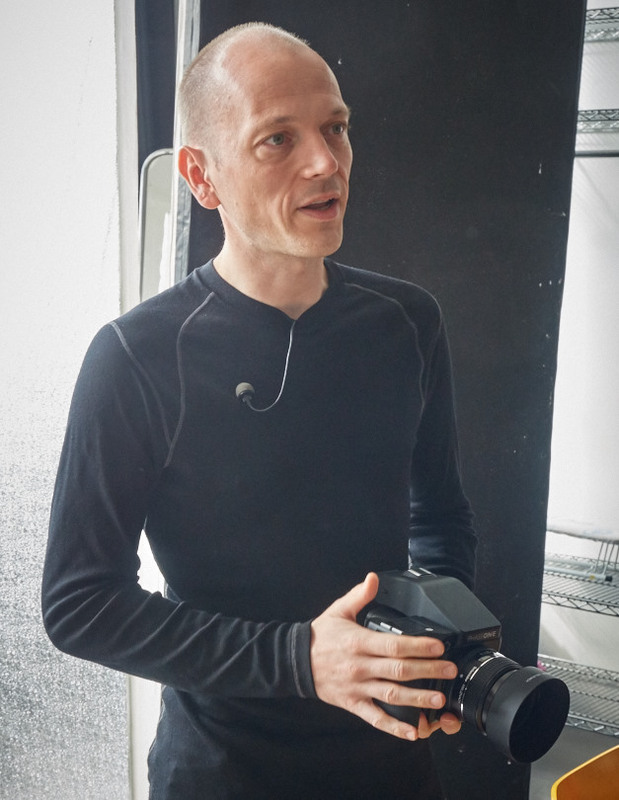 That also means there is no one who expects more of the new XF camera system than me and I am now in a position to say what I think and feel about it. 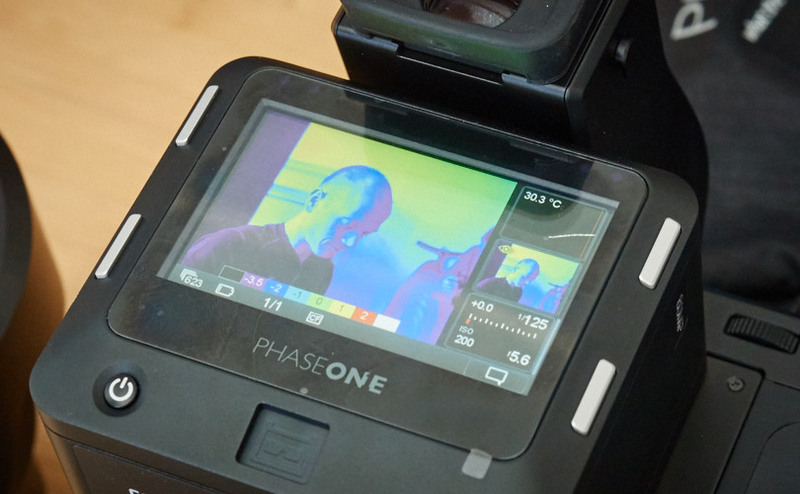 Honestly, my experience today with the Phase One XF camera today was simply amazing. As the Publisher of Luminous-Landscape, Phase One took their chances inviting Chris Sanderson and I to Phase One head quarters in Denmark. They knew that I would show no favoritism with my views of the new camera and if there was something that didn’t quite work, I’d report it fairly. Say and think what you want, what you are about to read and see is this reviewer excited about a new medium format camera that’s done right. We arrived in Denmark during the Phase One partner conference. After their conference we met up with a few of the dealers to share a beer and reminisce. The dealers were all sworn to secrecy about the new releases but they had big smiles and were excited about their last few days. We were here for the press event, which would begin on Monday. Phase One picked us up at our hotel with a few other journalists and transported us to a large rental studio in Copenhagen. 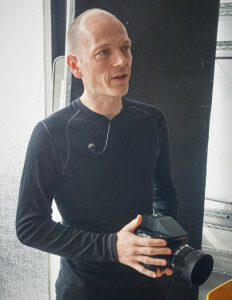 We were expecting a morning of PowerPoint presentations and propaganda and instead were greeted by Lau Norgaard – Technical Project Manager and, as we would learn, the man behind the XF camera. 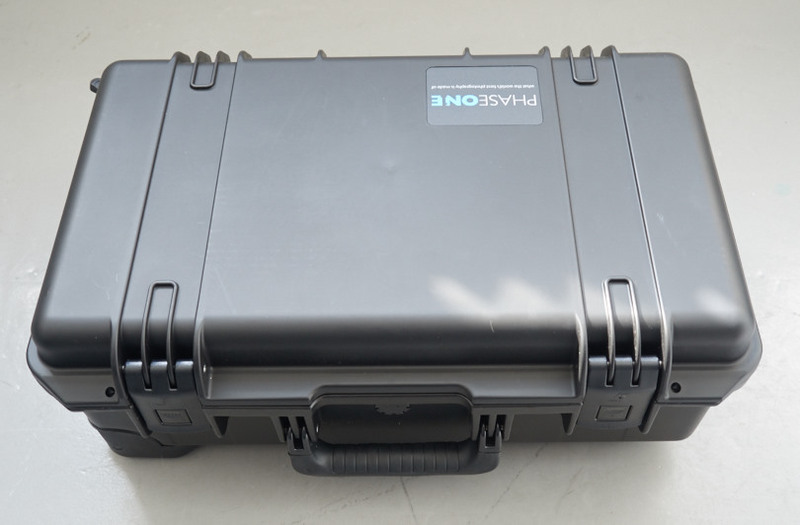 We were each handed our own Pelican style hard cases containing a Phase One XF Camera and IQ350. It was like Christmas when we were told to open the cases and set up the new cameras. What no PowerPoint? That’s a first. We stood around a table and were guided through the new features and camera set up by Lau. The Out Of Box Experience of the XF Camera was quite something. 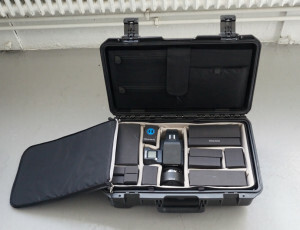 The camera is delivered in its own hard-body case. 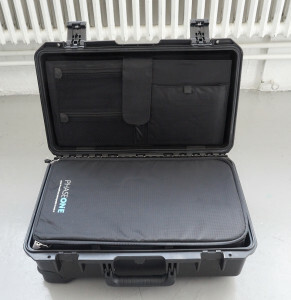 Inside this case is an F-Stop Large Insert. The insert is divided into smaller compartments with the camera sitting in the middle. Inside the kit you’ll find batteries for the camera and back, which by the way are the same batteries as current Phase One backs, Firewire 800 and USB 3 cables for tethered use, a Quick Start manual, CF Card reader and a CF card, dual battery charger, sensor and rear camera plates, sensor cleaning kit, LLC Uniform light diffuser, and an Elk Leather neck strap plus a couple of Phase One mints. 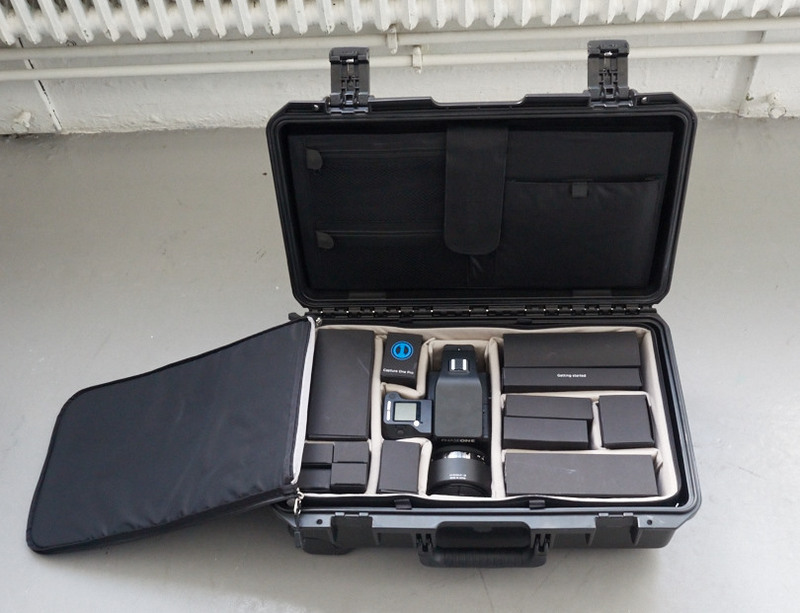 The insert in which all of this is packed, can slide easily into an F-Stop backpack (sold separately). 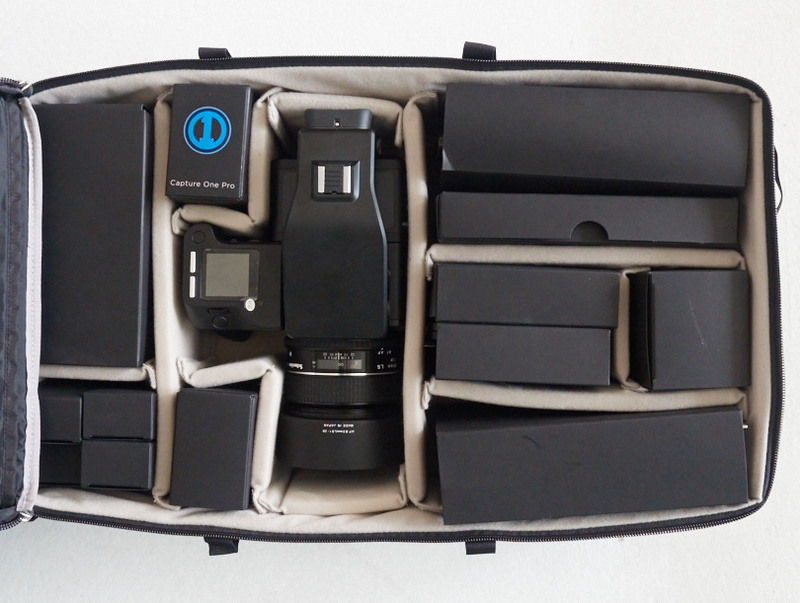 If you are a landscape shooter this a dream set up. 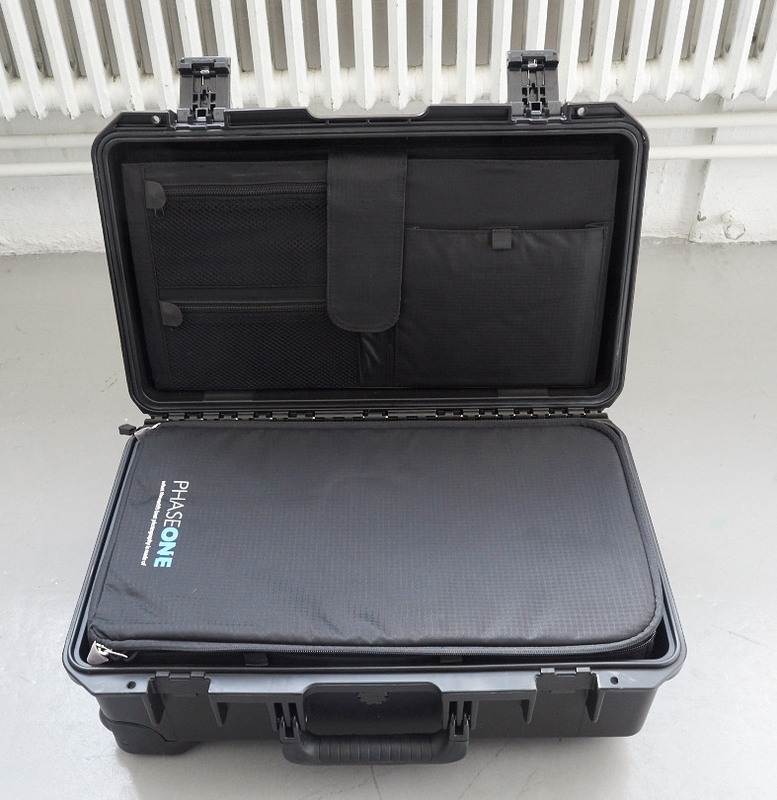 In addition the case has foldout panels that can be set-up as an on-location hooded viewing station with dark cloth. All of this and we hadn’t even turned the camera on yet. 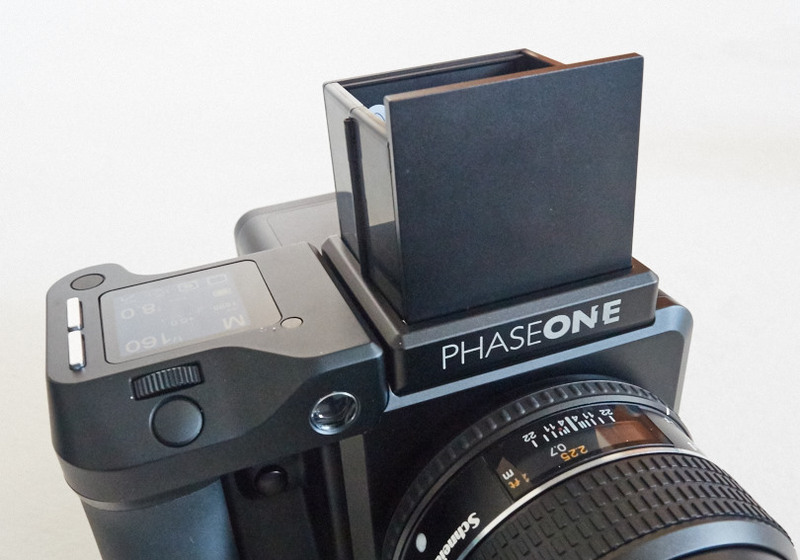 Phase One put a lot of thought into the whole user experience with just the packaging. We were all hoping they did the same with the camera. 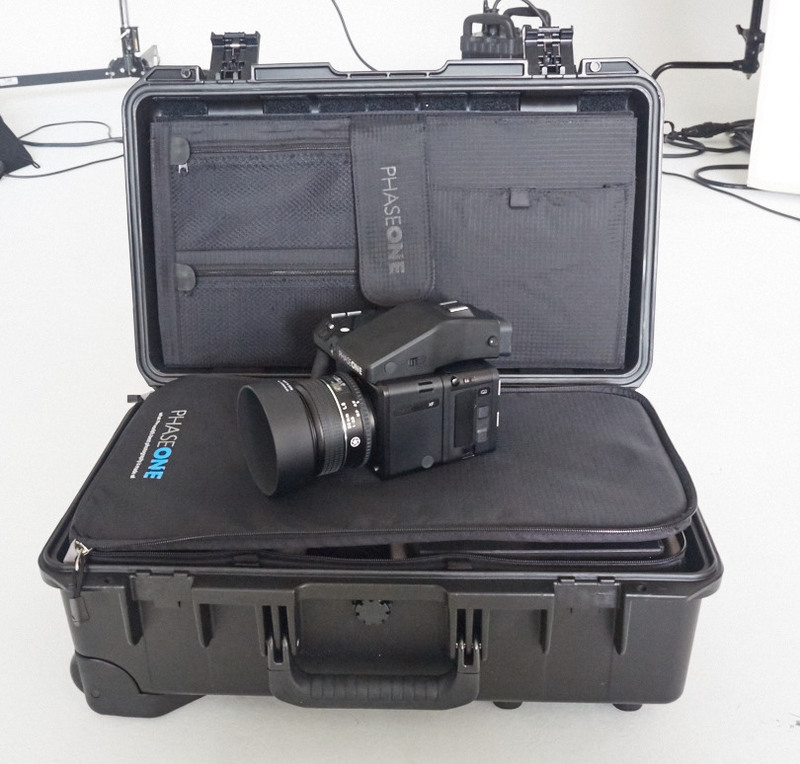 The first thing you notice when lifting the XF camera, lens and back from the case is the size and weight. 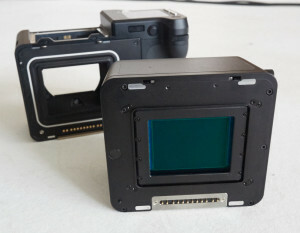 According to the spec the XF camera with viewfinder weighs in at 1390g vs. 1090g for the DF+. This camera is built like a brick and feels like it -it weighs like one too. But, once you grasp the grip and hold the camera, the initial reaction fades away. It just feels nice. 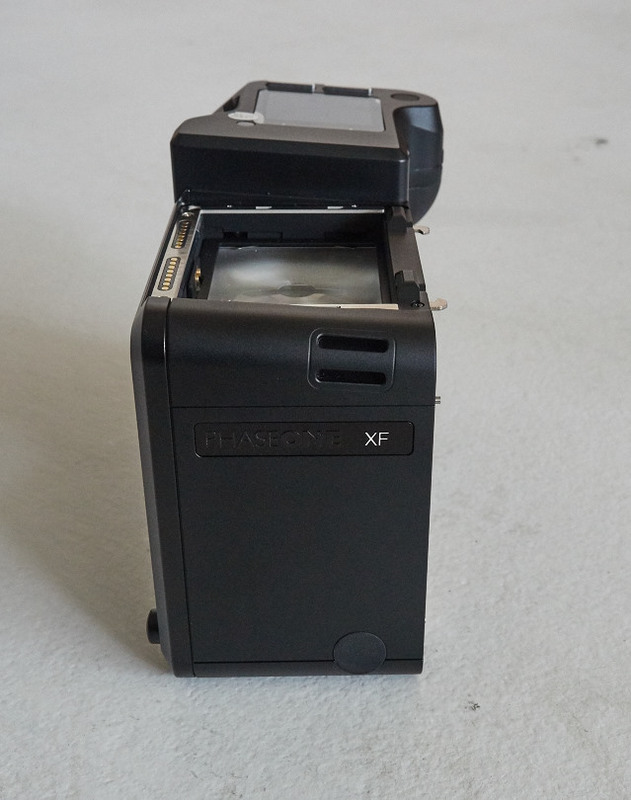 Users were saying for years that the DF+ felt like a plastic camera. Make no mistake you won’t say that about the new XF Camera. The camera seamlessly matches the IQ back and is designed in much the same way. Smooth rounded corners, bevelled edges make it feel just the way you’d expect a Danish engineered camera to feel, with its excellent form and function. Nothing protrudes from the camera. Even the eyelets for the camera strap are recessed and engineered to be part of the camera body. Every port has a cover. This is something that Michael Reichmann had a lot to comment on a number of years ago. The engineers at Phase One wanted to point that out to Michael. It may have taken some time, but they listened. It’s obvious that they listened to a lot of other suggestions too. The grip is solid and fits my hand nicely. The longer you hold it the better it feels. 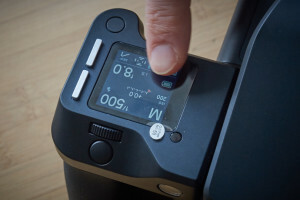 The camera has something that is found nowhere else (except the Sony NEX-7) and that is three separate control dials. There are two on the back and one on the front. 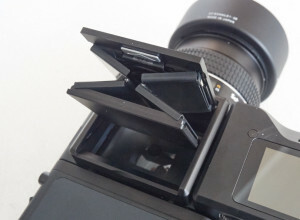 There is a smooth shutter release button on the front. 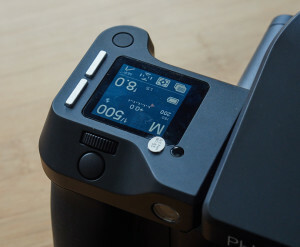 There is also a second shutter release button at the bottom right of the camera. We were told this is best used with the waist-level finder. That’s right, this camera has a removable viewfinder. 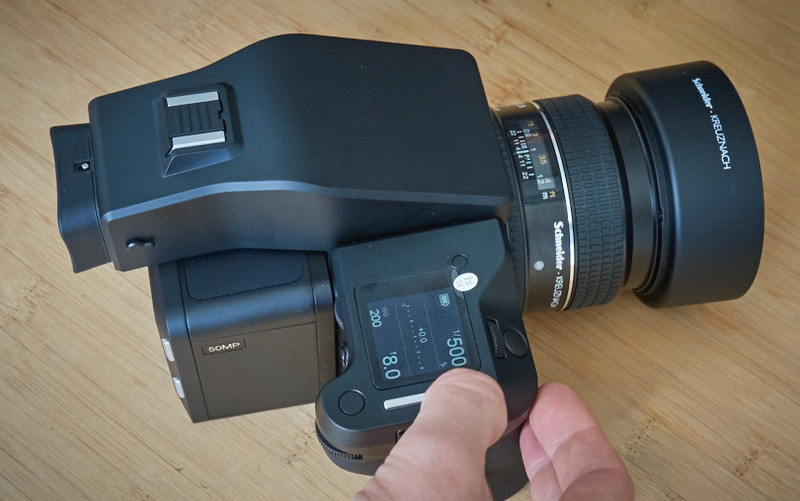 With the slide of a release the prism finder pops off and the waist level viewfinder pops on. And, just like the rest of the camera, it looks perfectly seamless when attached and collapsed. As you would expect it has a pop-up magnifier and works great. The viewfinder is very bright. With the prism finder attached, one of the first things you notice is how big the finder seems when looking through it and how much you can see without shifting your eye. We could tell Lau was getting anxious as he began to share some of the features that truly make this camera unique. First and foremost is the new one touch control panel in the camera body handle. This new touch screen control is so well thought out. As you’ll see in the accompanying images and video this system is so simple to use, it leaves you wondering why no one has implemented it before this. You make a selection one of two ways, very similar to the way you can use an IQ digital back. Either touch the control you want to change or touch the upper right silver button and press it until you highlight the item you want to change, then rotate the right rear knob until it is at the setting you want. Using the touch screen, just touch the item and a sub menu opens up, touch the selection and you are all set to go. All in all it is brilliantly thought out and as the day progressed I came to appreciate the quick responsiveness of the touch screen and the button method especially when compared to the old DF+ system. And, I’ll say it another time that all the controls can either be touch or button and dial controlled. This camera could easily be operated with gloves on. 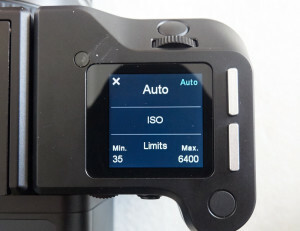 With the new camera you can set auto limits on ISO, F-stop and shutter speed. This is a very cool feature. 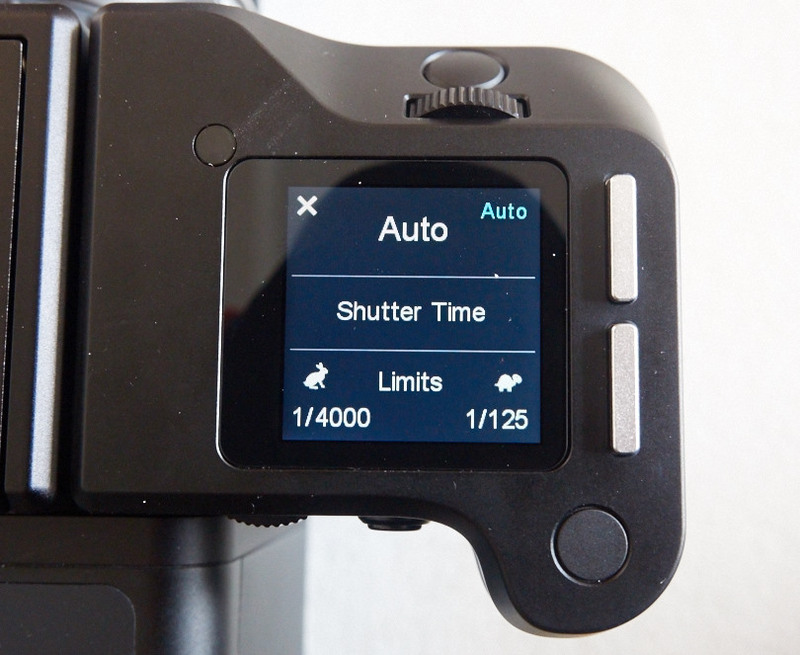 If you would like to avoid using an f-stop of 45 and 2.8, you can set a limit to say f 16 and f 4.5. You can also set minimum and maximum ISO as well as minimum and maximum shutter speeds. The ease of doing this is very simple. 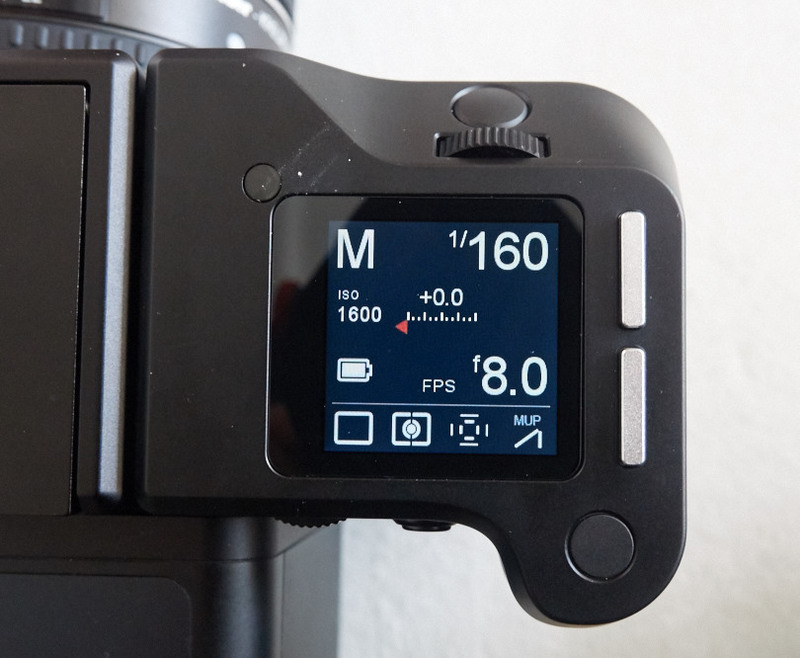 Like other cameras that offer this, it is great to use to avoid the diffraction of stopped down lenses or to avoid lower shutter speeds while hand holding. 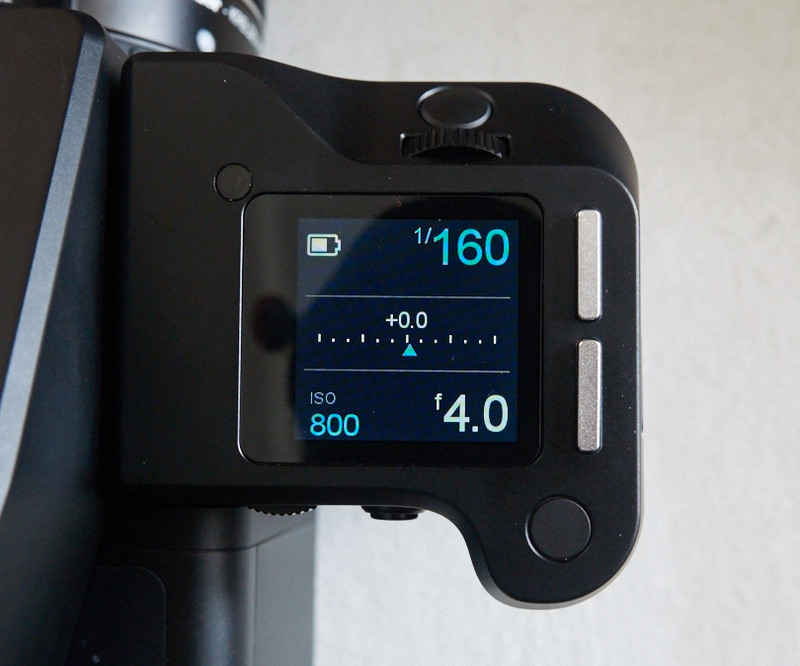 Combined with a setting range for ISO you can make sure that camera operates within your parameters. 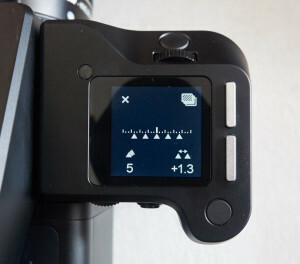 You can also customize the direction of the dials – both aperture and shutter speed can be controlled by turning the dials either to the left or to the right. And the function of all dials and buttons can be customized. You can specify whether you want a simple and basic display on the handle or one with more options and detail. There are no silly abbreviations that are confusing. The display on the handle is very high res and has a backlight option where you can brighten or darken it. I found the 25% setting just fine. The display also works perfectly outdoors and doesn’t disappear or become hard to read like some other displays. I like to shoot on a tripod without a cable release. 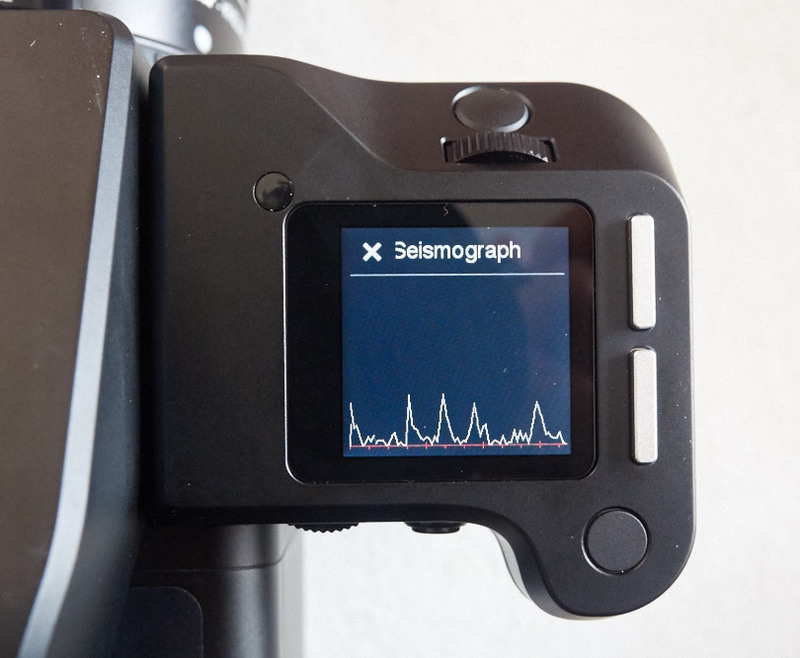 The XF Camera has what is called vibration delay. By switching to this mode while in mirror up you get a default 4 second delay. You can adjust the time of delay too if you want. The mirror up button is a one touch on the display. You can also set it using either of the two silver keys and rear dials. Along the bottom of the handle display are four icons. The first is Drive selection. Touch it and it opens to a screen where you can choose single, continuous, vibration and bracketing. The bracketing selection uses two dials on the back to let you choose how many exposures and the f-stop difference between exposures. Compared to the old way this new method is great. I quickly set 5 exposures at a two-stop difference. Trigger the shutter and 5 exposures with the f-stop difference are made. So quick and so easy. The next button is the metering menu. You can select matrix, center and spot. The last button on the bottom row is for auto-focus. You can select average, spot or hyper-focal. This was where I ran into an unexpected disappointment. All the literature and rumors said that there was a new Honeybee Auto-Focus system. The description sounded great and I expected 50 plus sensors spread out across the viewfinder and doing all the magic auto-focus we have become accustomed to on mirrorless and FF DSLRS. Not so. Although the new system is not bad, it is limited to auto-focus sensors at the center of the viewfinder. I expressed my surprise at this to Lau and he gave a very good explanation. After running through the reasons why and the challenges of doing an AF system we agreed that we would do a separate article and video on Auto-Focus. Look for this in the very near future. Be that as it may, the new AF is fast. And it is accurate. The method used to do the auto-focus is new and it seems to work a lot faster than the old DF+ AF. We tried auto-focus accuracy and speed under a number of conditions and with lenses up to the 240mm and it was very sharp and accurate and fast. But, it is only center AF. This means you have to focus and while keeping the shutter button half pressed recompose your shot. 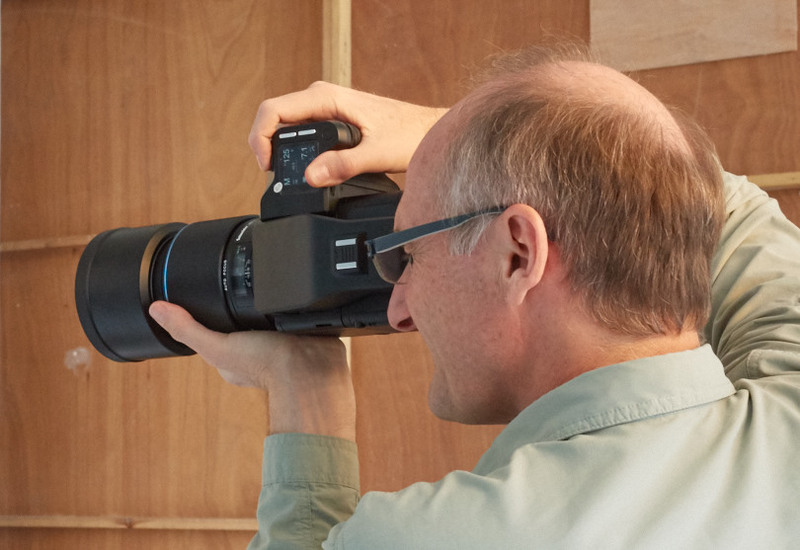 The HyperFocal setting is used to set the sweet spot of your lens. Helpful for the outdoor shooter and lenses that may have their sweet spot for infinity just off the infinity mark. There are a couple of other things to note on the handle display. It is a color display and anything that shows in blue indicates it is in auto mode. Nice little feature. Pressing and holding the upper left key takes you to the display customization menu; there are a large number of listings on this menu that you can customize to your liking. This is a good time to share a short video I made with Lau. He does a great job explaining some of the features and design considerations. The digital back and new camera body have a strong two-way interface. 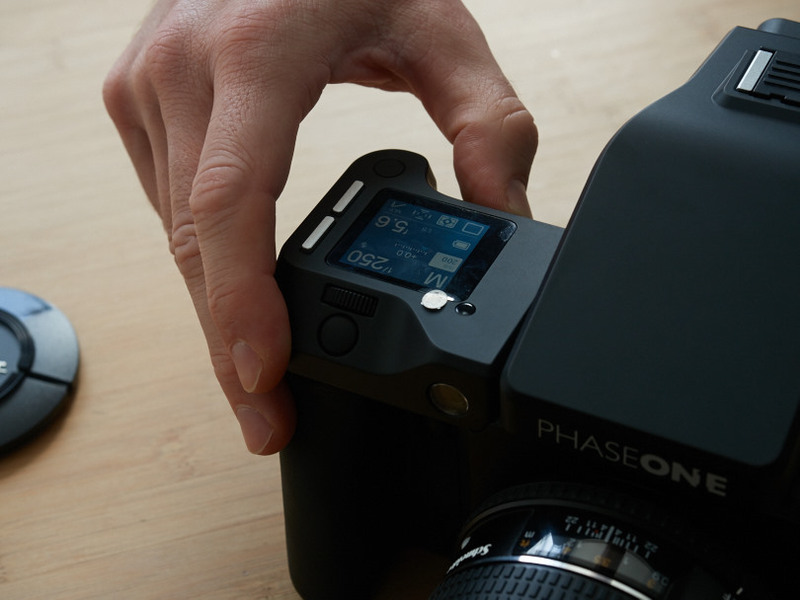 The new IQ3 backs have a high degree of integration with the camera body. 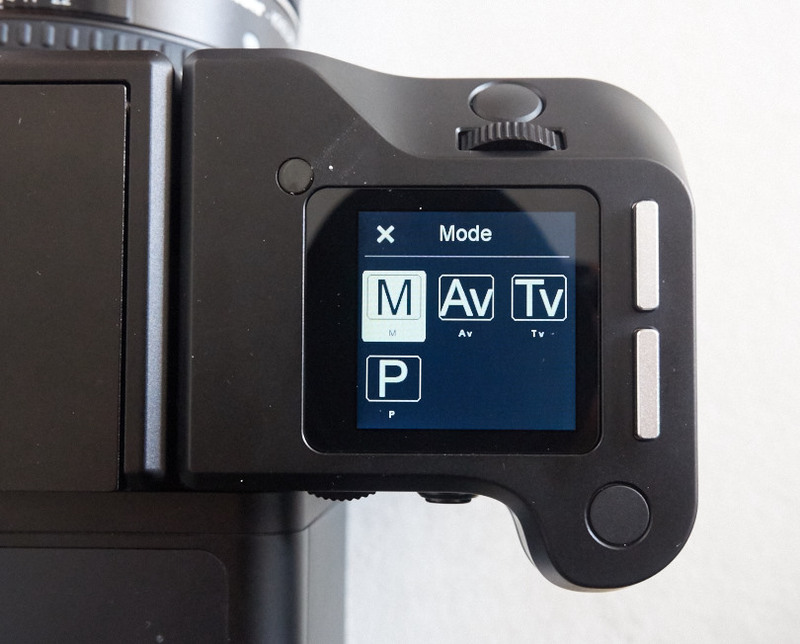 All settings found on the camera handle can also be seen and set on the digital back. This is very useful depending on how you are working and the size of the screen you like to work with. 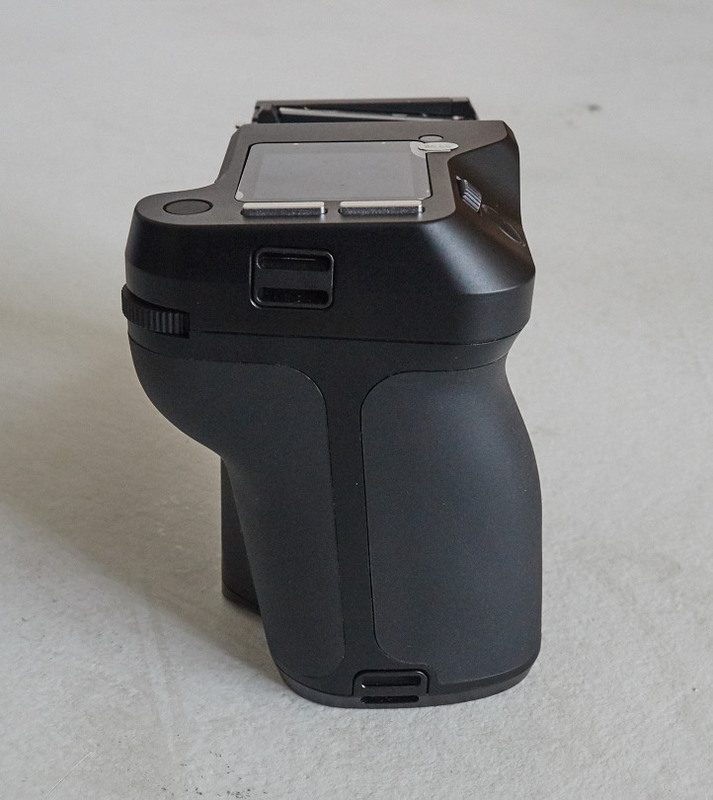 There are two batteries with this system, one in the back and one in the handle of the camera. They work in conjunction with each other. If one battery goes flat, the other battery kicks in. You can change one battery and keep the camera system powered on by the other. I have yet to work the system long enough to get a good grasp on power consumption but I am told it is better than the DF+. Also either power button will turn both the back and camera on or off. The back display has a few new options that are very nice. On the right hand side of the Play screen there are a set of scrolling icons. There is the standard histogram, focus mask, exposure warning, level tool, and metadata selections. New is an exposure calculator which is easy to use for determining changes to exposure. There is also a new temperature indicator showing the temperature of the sensor. 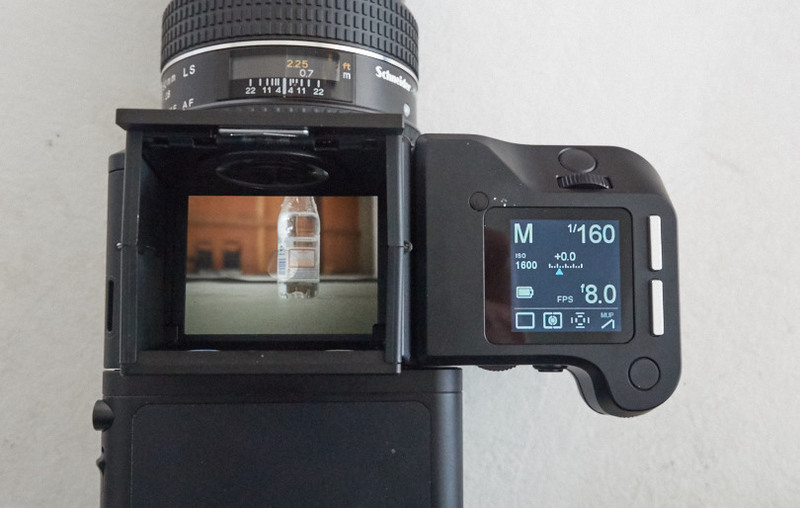 I’m told this is handy if you are doing long exposures. Finally a new selection that is really interesting is exposure zones. 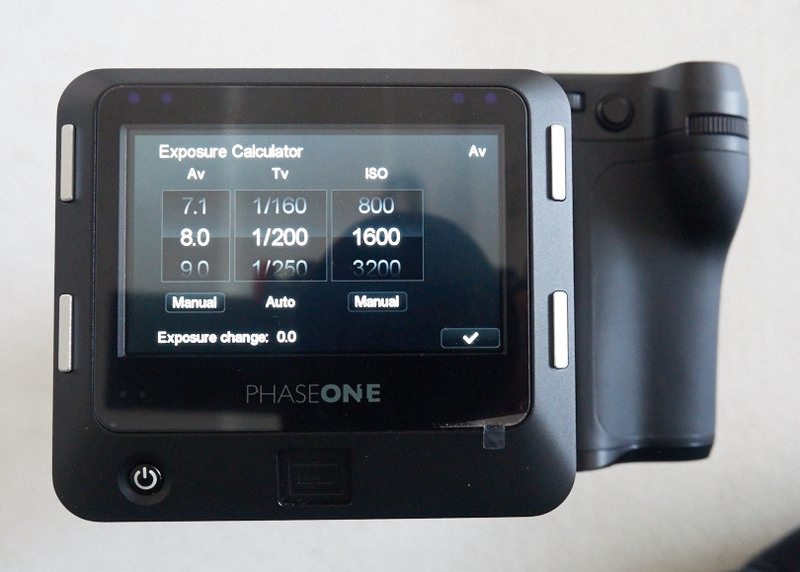 It’s kind of like a color zone system that will be a new way to evaluate exposures. 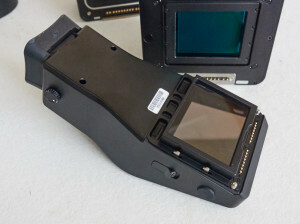 The viewfinder is removable. I tried the waist level finder and found it would be good for low-level shots. I also found it more comfortable to cup the camera in two hands using this finder and using the bottom exposure button to expose my images. This has been an asked-for item for quite sometime. The eyepiece is also now more secure and does not pop off like the older DF+ eyecup. I was always losing those. One of the things that was stressed to me throughout the day is that this system will see updates and that there are even more features currently being worked on. 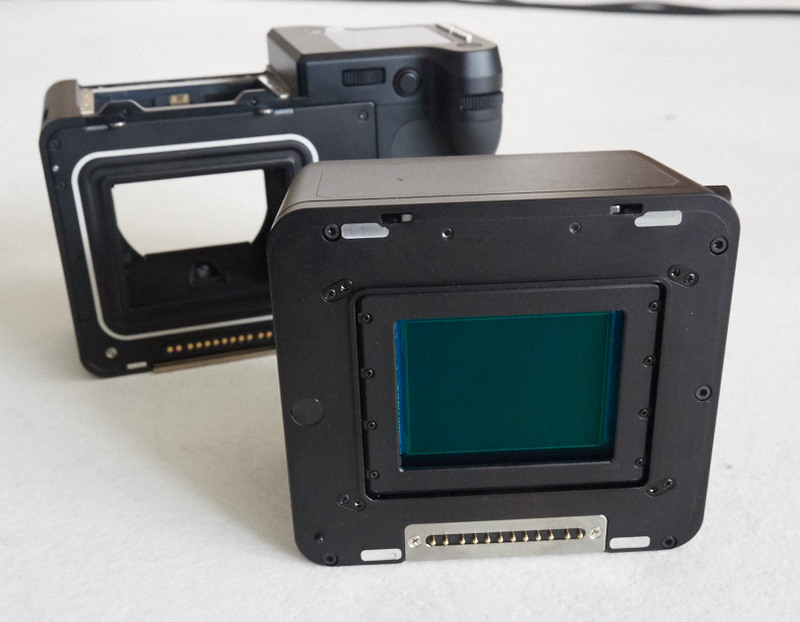 Any of you that had the old DF+ system know how hard it was to upgrade the camera firmware. 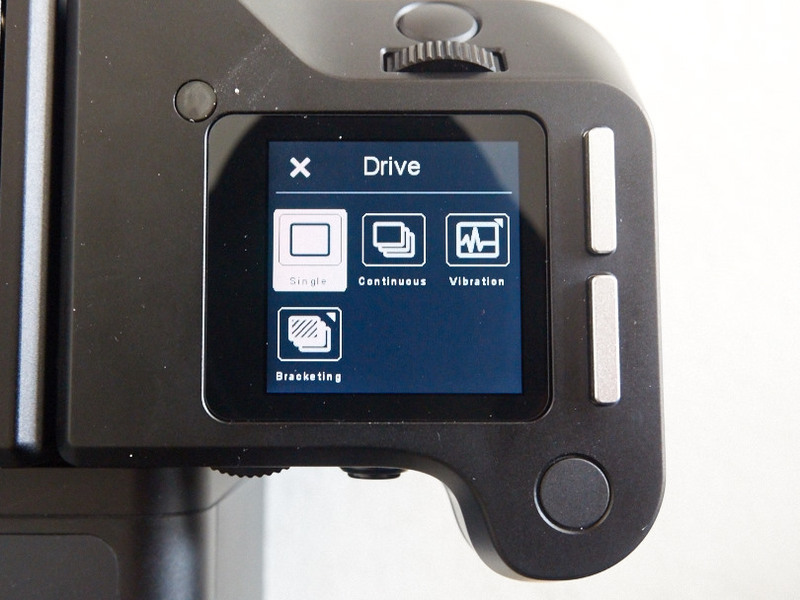 Now firmware updates for both the camera, digital back viewfinder and lenses will be handled by a software download onto a formatted CF card and inserted into the back. Phase One also released a whole new series of digital backs today. 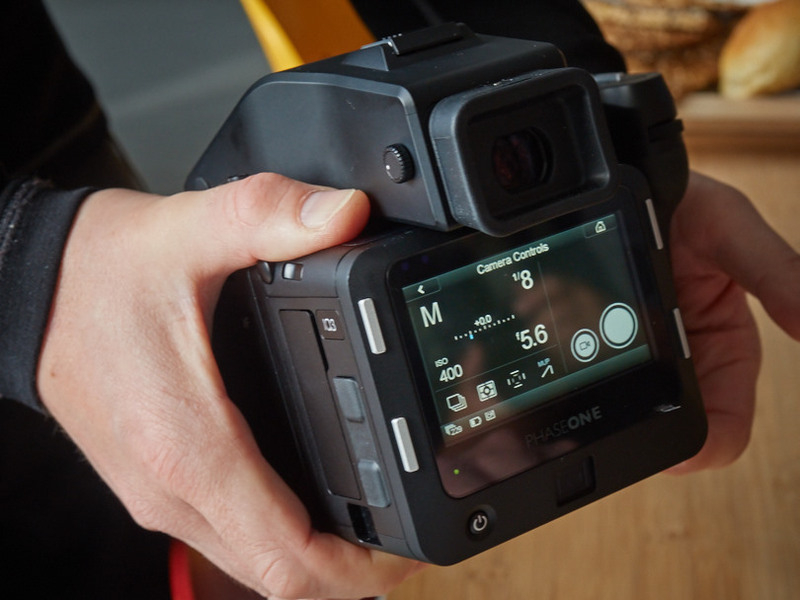 A new full frame IQ3 80MP digital back is the first of its kind to offer exposures of up to 60 minutes using a new and Phase One-exclusive imaging sensor. It joins the new IQ3 60MP and IQ3 50MP digital backs — all three of which feature a high-bandwidth interface that enables advanced tools in the new OneTouch UI, including power-sharing capabilities. The 80 megapixel back sounds interesting to me especially because of the long exposure capability. There still is only one CMOS Back and that is the IQ3 50MP. One can only presume that the next news we hear from Phase One will be new CMOS backs. However, considering all that Phase One has just announced I wouldn’t hold my breath. Lau also showed us two new lenses. These are the 120mm and 35mm Schneider Kreuznach Leaf Shutter lenses. The 120mm Macro lens has been a long time favorite of mine, this is the third iteration of this lens. It went from the original manual focus lens to the auto focus lens to today’s new version with a leaf shutter. This is a magnificently sharp lens and I really enjoyed shooting with it today. As a landscape shooter I have longed for a 35mm lens. The 28mm is too wide and the 45mm and 55mm were just not quite right. The new 35mm lens is now available and it is a beast. It is big, but really nice. I shot some incredible images with it and look forward to doing a more extensive test on this lens and a future review. 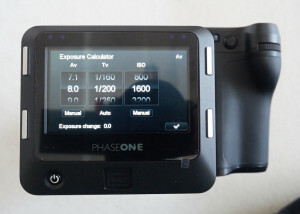 Phase One says these lens are designed to resolve for 100mp and more. I wonder if they are hinting at something. Walking through Phase One after my two year absence I found the whole place changed. A lot of new people and a lot more people. The new people are additions to a lot of old and familiar faces. The offices had an energy to them that I hadn’t felt there before. People were smiling and working hard. There was a lot of activity and it is quite obvious Phase One is working on a number of other projects. The offices are modern and reflect a tech company with information screens on sales, downloads, marketing results being updated all the time. The pride that the team at Phase One has for the products they produce is very evident when visiting the different departments. The care taken in assembling the backs and cameras is alsos quite obvious and listening to department heads that took us around their working areas was an experience as their pride and enthusiasm were quite obvious. 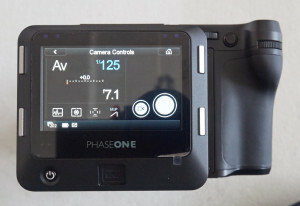 Phase One faces some challenges in today’s market and the XF Camera couldn’t have arrived at a better time. 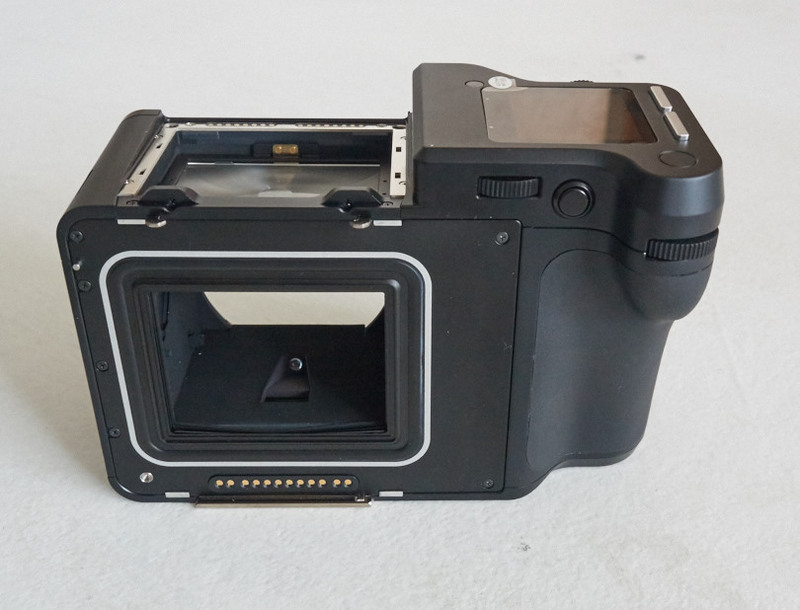 The medium format market is misunderstood by many – as evidenced in the Luminous-Landscape forum. This is a segment that, for as long as I can remember, people have been saying would disappear. It’s kind of funny as that is not the case. Look at the rumors we are hearing now about other companies thinking about getting into medium format. Look at the fact that for all these years Phase One has not only survived but has grown significantly. Phase One plays to the top of the pyramid. They have dedicated dealers though out the world and these dealers sell to a select market. 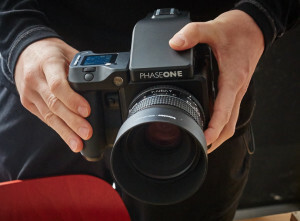 Hasselblad, Kodak and others have tried to knock down Phase One, yet none has. 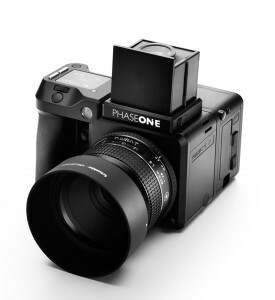 While Phase One acknowledges the new 50MP cameras that are being introduced and know a lot of people will be looking at them, they don’t get distracted from whom their real customer are. The versatility of Phase One backs being modular and being able to be used on many different systems has always been a strength. 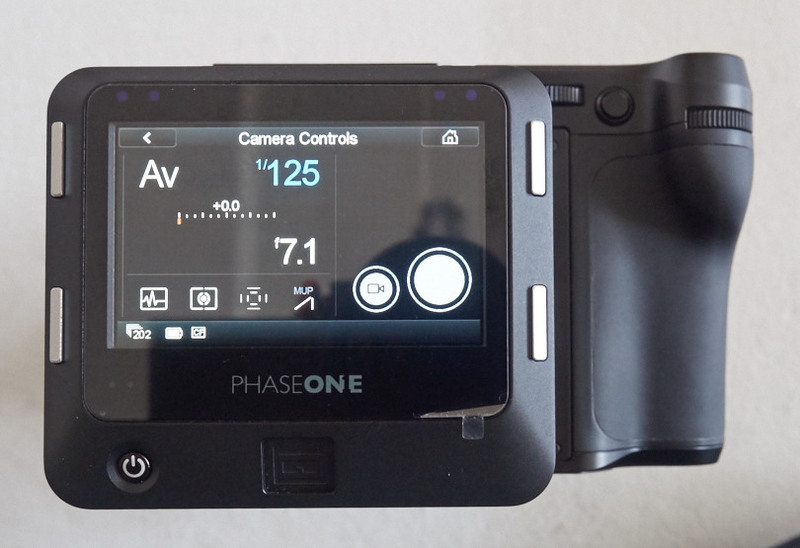 The new Phase One “A” camera system developed in cooperation with Alpa Camera is just another segment. There is also something to be said about a Phase One file. If you have never experienced seeing a Phase One file or what a high megapixel image looks like, you are missing a real treat. There is a feel and quality that has to be seen. 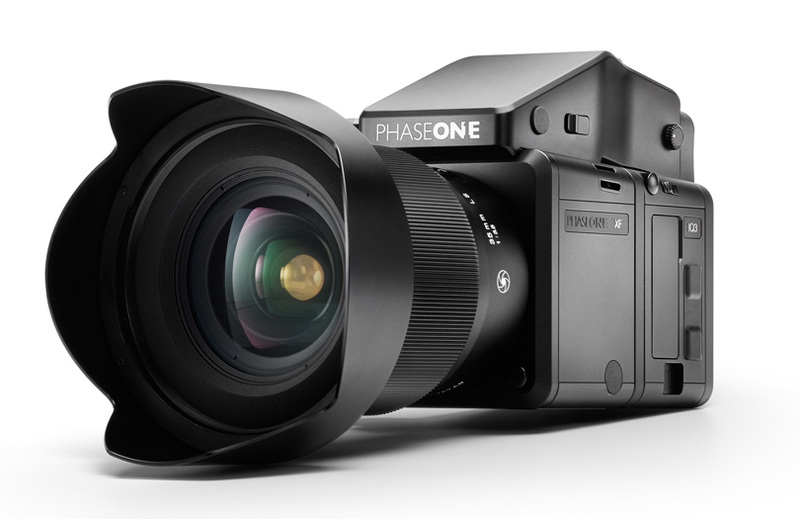 Phase One users understand and demand high image quality. These are working pros and dedicated photo enthusiasts and there are a lot of them. It would seem hard to believe that people buy such expensive cameras. But those customers are out there and based on boxes lined up to ship they are purchasing a lot of cameras. And, as a side note we were told that China is now Phase One’s largest market. Followed by North America and Europe. 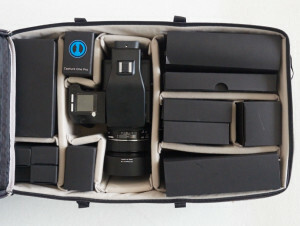 Photographers have (and it sounds like will have) even more choices regarding what medium format system to purchase. There is no question though that the Phase One systems are well positioned to provide a strong option. The lenses made by Phase One over the last few years are terrific. The backs are a favorite of top photographers. 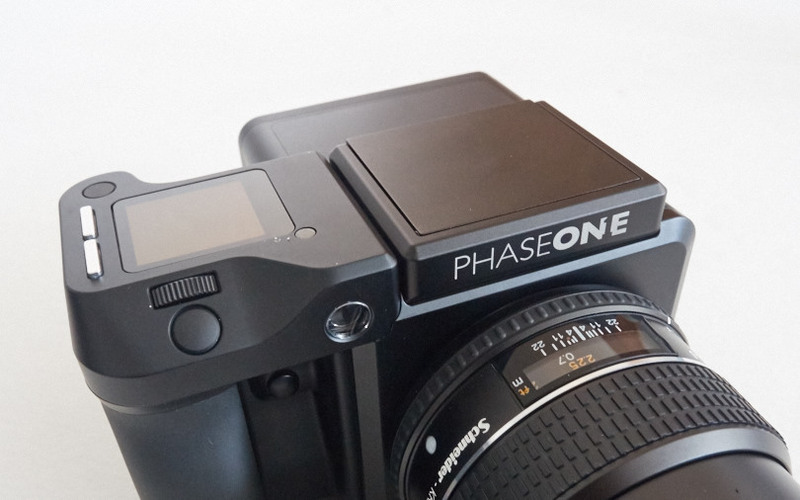 Now, with the XF camera, Phase One is in a position to dominate the camera body business. Their nearest competitor – and we all know who they are – is working with a capable but old camera body by today’s standard. 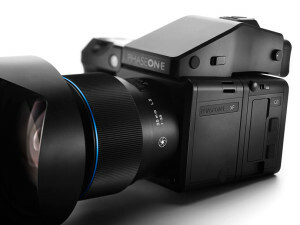 I believe that as photographers, rental houses and institutions begin to see the XF camera together with the Phase One backs and lenses, that there will be many cameras being upgraded or traded in. 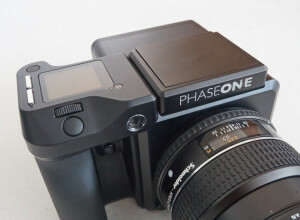 Phase One has made a camera that feels professional. 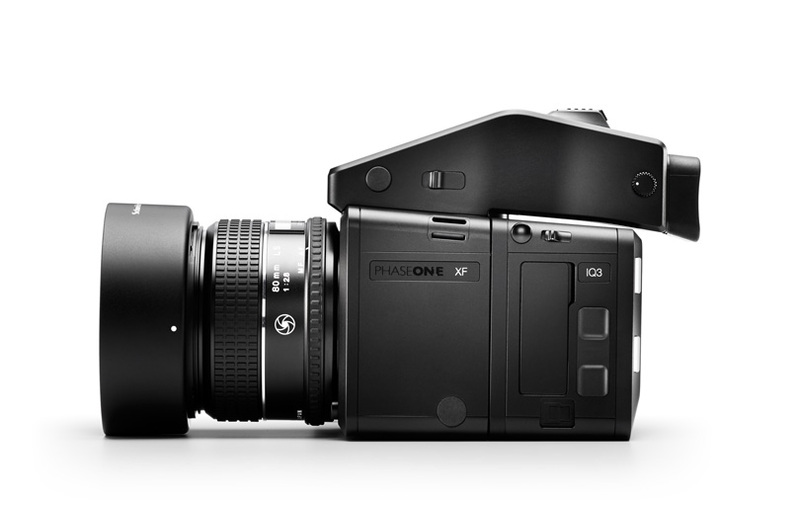 It feels like it can take hard knocks and has features that every medium format photographer has been asking for. Even though I had only a single day to use the camera, I was very impressed. At the end of the day Phase One loaned each of the press members present a system to take back and use for a few weeks. So, consider this an introduction and a preview to the new Phase One XF camera and IQ3 backs. I will be traveling to Iceland soon to lead a Luminous-Landscape workshop and will have the new XF Camera with me. In the meantime I’ll put it through its paces while still at home. If you are in the Indianapolis area and want to see this camera and possibly do a shoot with me, then get in touch with me. After a few weeks before I have to return the camera I’ll do a more in-depth review of the camera as it is used in the field. In the end Phase One was very open with us. They let us speak freely with their engineers and shared openly a lot about their technology. Everyone we spoke with had a twinkle in the eye that indicated to me that we haven’t heard the last from Phase One. Without a doubt they have something new they are working on and under tight wraps. They obviously have a road map and they have a company full of very bright and enthusiastic employees who have a passion for photography and making the best camera gear with the best image quality possible. 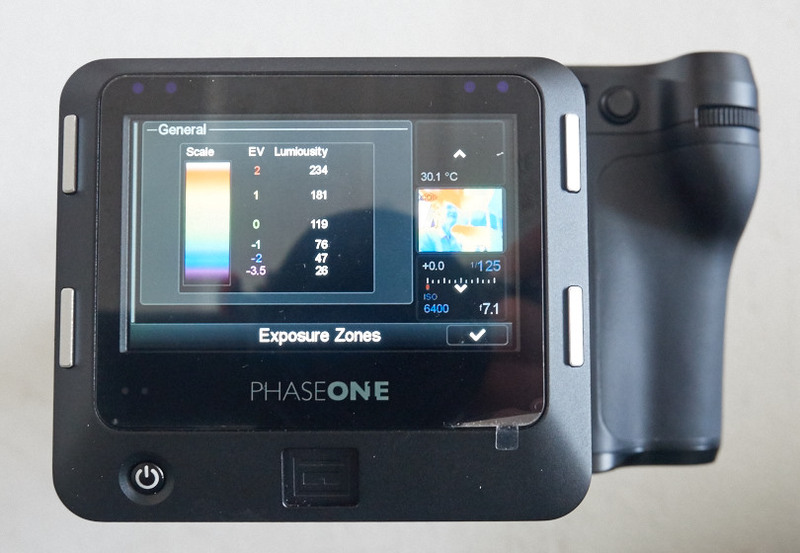 Phase One will have a representative with the new Phase One cameras on two of Luminous-Landscape’s upcoming workshops in Scotland and New Zealand. If you are interested in trying this new camera system out then these are the places to do it. We weren’t told what the camera would cost by itself. Those folks that have a DF+ Camera and back that want to upgrade will have to contact their local Phase One dealer. The prices below come from the Phase One press release. 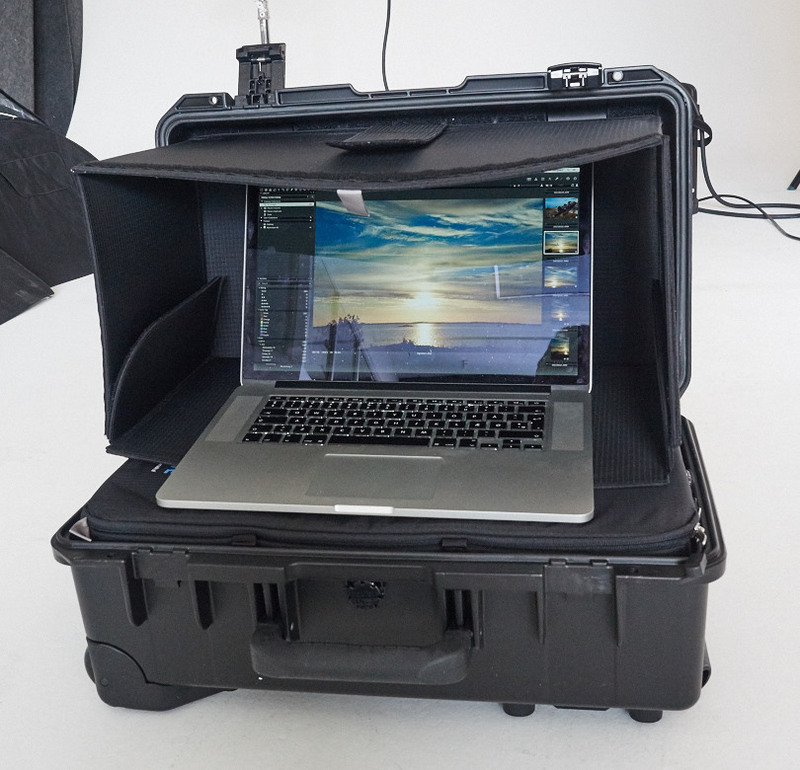 All systems come with Capture One 8.3 software for optimal RAW image processing and image editing. 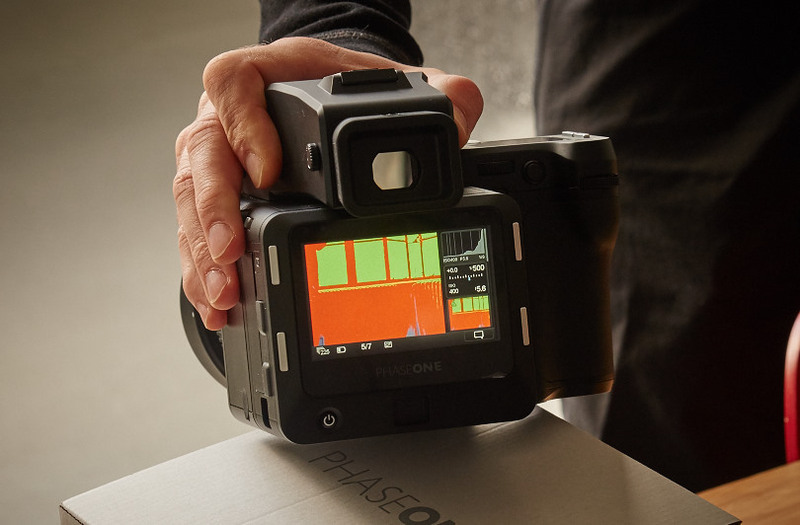 For a complete list of all available Phase One XF digital system components and options, please contact the Phase One partner closest to you.